It's for their eighth anniversary! 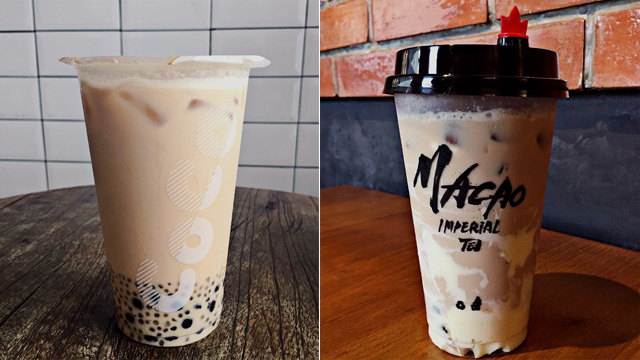 (SPOT.ph) It's a great time to be a milk-tea fan. 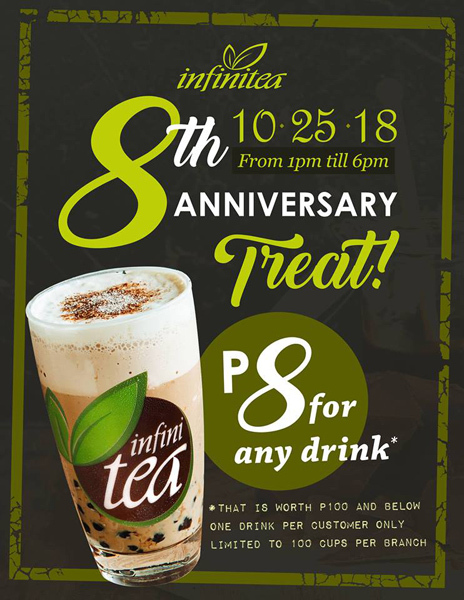 Not only are there new chains all over the Metro, but your old favorites are still going as strong as ever, like Infinitea! In fact, they're celebrating their eighth anniversary with a pretty sweet deal. On October 25 from 1 p.m. to 6 p.m., you can get P8 drinks until supplies last! Get Taro Milk Tea for only P8 for one day only! Included in the promo are all beverages worth P100 and below. This includes all of their milk-tea flavors in Medium (except for Dark Cocoa Pudding) like Taro Milk Tea, Strawberry Bliss Milk Tea, and their signature Original Milk Tea Nai Cha. If milk tea isn't your, well, cup of tea, you can opt for Fruit Teas like Blueberry, Lemon, Orange, and more. Only 100 cups will be up for grabs per branch so better get there quick. 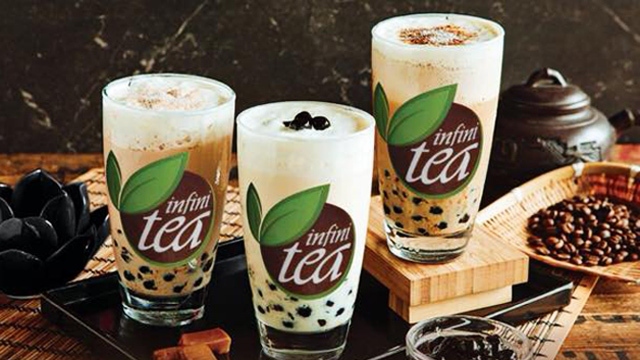 See a list of Infinitea branches. 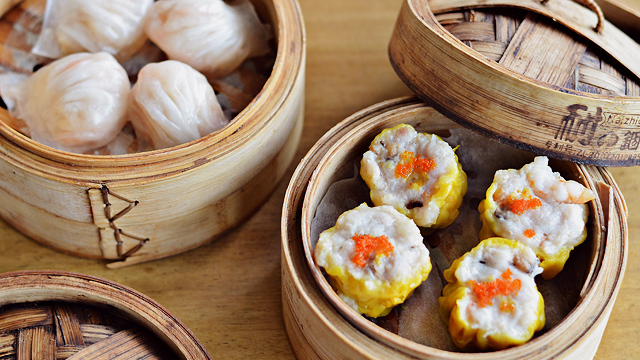 What Is the Best Milk-Tea Place in Metro Manila?